We are a leading Manufacturer of twin shaft macerators and twin shaft macerators wastewater pumps from Chennai, India. NETZSCH Twin Shaft Macerators are available in various designs, with flow rates from 1 m3/h to 270 m3/h and a dry matter content of up to 10%. The machine consists of a midway located shaft implemented with a butterfly edge that moves and mixes the mass around the containers. A second changeable speed disperser shaft with a cowless impeller blade operates in short intervals. Wastewater, tin cans, fibrous plant and animal waste, fish, poultry feathers, glass, rubber, towels, wood and bark, bones, leather, rags, medical waste, sanitary napkins, cardboard, plastic parts, cleaning cloths, sludge, pantyhose, tampons, carpet scraps, soft metals, sugar beets and much more. For applications with particularly large solid objects in the wastewater flow, the NETZSCHTwin Shaft Macerator Pump is your ideal partner. Various tooth and spacer width plate combinations are available for different degrees of grinding. 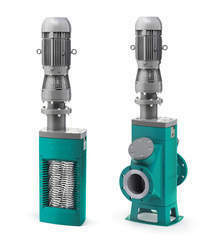 Depending on the application, five NETZSCH Twin Shaft Macerators are available in various designs, with flow rates from 1 m3/h to 270 m3/h at a dry matter content of up to 10%. 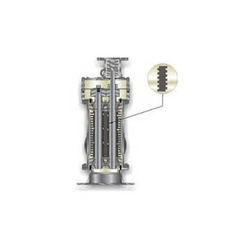 The NETZSCH Twin Shaft Macerator is self-cleaning as the twin shafts rotate very slowly at slightly different speeds. Low driving power with a particularly high throughput guarantees efficient operation. The NETZSCH Twin Shaft Macerator ensures free flow and protects downstream pumping equipment and plant components.